Not an artist, but a lover of art and beauty? 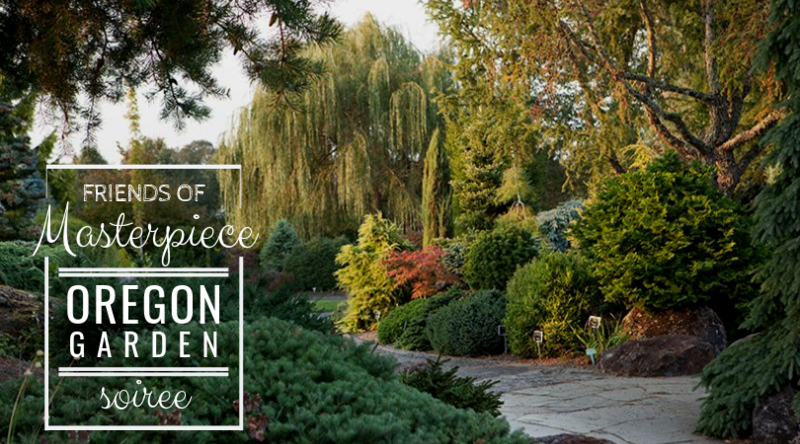 Join in on the inspiration at our first ever Garden and Art Event, sponsored by Masterpiece. Perhaps your friend or spouse is attending Ron DiCianni's painting workshop, and we just so happen to the the perfect, relaxing, botanical discovery for your weekend! Take part in Ron's compelling talk, experience the art, and enjoy it all alongside great company, with Ron, artists, and other art appreciators! This two-day event kicks off Thursday (16) evening with Ron DiCianni's personal story and message, and continues on Friday (17) with a group tour of one of Oregon's premier destinations: the stunning, 80-acre Oregon Botanical Gardens, featuring over 20 specialty gardens that showcase the diverse botanical beauty of the Willamette Valley and the Pacific Northwest. We will close Friday evening, gathering for dinner with Ron, workshop attendees, Masterpiece members, and friends! Dorm lodging is available at New Hope College – contact Dan Chen (541.461-3735 danchenart@yahoo.com) Or your choice of the other great accommodations in the Eugene area. Includes Thursday evening session with Ron DiCianni, Friday Garden Tour + admission, transportation to/from Eugene (1 1/4 hours) to the gardens, and Friday inspirational evening and dinner with Ron, workshop attendees, and friends. Friday dinner, at the group meeting/presentation, is included in this two day event. All other meals must be provided individually. *Friday lunch may be purchased at the botanical gardens or bring a picnic lunch to enjoy in the gardens.